Raised in an interracial and multi-faith family and witness to the sometimes subtle (and sometimes obvious) ways that racism and xenophobia show up in our society, it is not surprising that Sandhya's career has been marked by work to effect public policy change (working in the office of Congressman Thomas C. Sawyer from Akron, Ohio), religious liberty and an alternative voice to the religious right (at The Interfaith Alliance) and around the issues of housing for all (at East Bay Housing Organizations) as well as her work to build what Dr. Martin Luther King called Beloved Community (at the Oakland Peace Center). She serves as an anti-racism/anti-oppression trainer with Reconciliation Ministries for the Christian Church (Disciples of Christ). She is a faith-rooted organizer with Interfaith Movement for Human Integrity (formerly Clergy and Laity United for Economic Justice CA) and with the Emerging Leaders Program at the Leadership Institute at Allen Temple. Sandhya is particularly proud of her podcast, Hope from the Hood, available on iTunes and at sandhyajha.com. Ordained at National City Christian Church in 2005 as a Christian Church (Disciples of Christ) minister, Sandhya is pretty proud to have received both a Master of Divinity and Master of Public Policy from the University of Chicago, where her joint thesis was on the subject of Public Goods, Public Bads, the Common Good and the Common Burden: Environmental Racism as a case study on the intersection of Public Policy and Theological Ethics. She gets far more excited about urban policy than a normal person should, and she loves to sing folk, jazz and gospel even though she was trained in classical music. Reverend Yvonne Gilmore has been Associate Dean of the Disciples Divinity House, Chicago, since 2013. As Associate Dean, she collaborates with and assists Dean Kris Culp in furthering the educational work of the Disciples Divinity House and interpreting that work to key constituencies in ways that support DDH's mission over the long term. This involves fostering educational opportunities, vocational development, and transformative conversation among current students, alumni/ae, and friends as well as in wider venues. "Profound scholarship, service, and creativity abounds at the Disciples Divinity House," she notes. "In concert with a great cloud of witnesses and a vast array of faithful and disciplined stewards of God's grace in its midst, I am excited to be part of a grand constellation." Associate Dean Gilmore is committed to the preparation of "thought leaders," and her ministry exemplifies such leadership. In 2007, she became the founding pastor of New Song Community Church, a diverse urban congregation in Northeast Columbus, Ohio, that was dually aligned with the Christian Church (Disciples of Christ) and the United Church of Christ. From 2010-13, she served also as staff chaplain and decedent care coordinator for Mount Carmel West Hospital in Columbus. She previously served in the Capital Area Region as an interim pastor, associate pastor, and a chaplain. 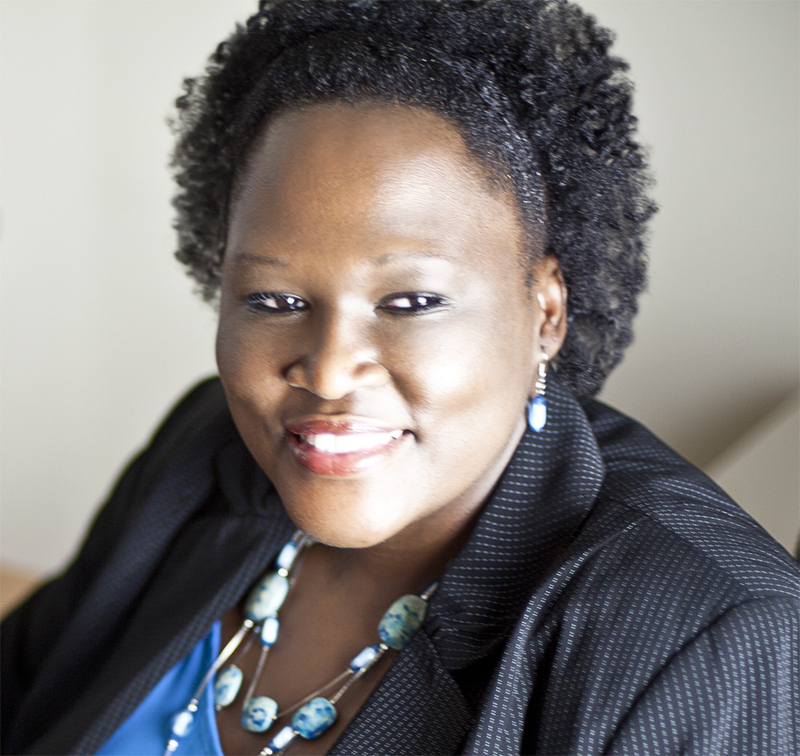 She is in demand as a speaker and preacher and as an anti-racism trainer with Reconciliation Ministry. She has team taught in the Divinity School's Arts of Ministry sequence, and she is a member of the Board of Directors of Higher Education and Leadership Ministries (HELM) and former member of the General Board of the Christian Church (Disciples of Christ). Yvonne Gilmore is also a poet and a spoken word artist. She has preached, lectured, and/or performed at varied educational institutions and denominational events, including the University of Chicago, Louisville Presbyterian Seminary, Christian Theological Seminary, McCormick Theological Seminary, and, within the Christian Church (Disciples of Christ), at the Ohio Regional Assembly, the National Convocation, and the General Assembly. As a member of the Cornel West Theory, she has performed in a number of venues, including on on college and university campuses and she been interviewed on the radio. A member of the 2001 entering class of Disciples Divinity House Scholars, she is a 2005 MDiv graduate of the University of Chicago Divinity School. She also holds a BA in International Relations from The American University. She has two daughters, Assata and Kharis. Minister Victor Simonson is giving a concert Friday, October 12th at 6:00 pm and he is also the musical director for the All Assembly Dinner at 6:30 pm. Victor Simonson was nominated for music directing Three Mo' Divas (Helen Hayes Award nomination) in 2006. Composer for the groundbreaking HIPHOPERA, STOMPING GROUNDS, Glimmerglass Festival. Other Washington DC area appearances include Cover Conductor, West Side Story, National Symphony Orchestra; Music Director, Bud Not Buddy, Kennedy Center. Associate Conductor for The Wiz, Ragtime, 110 in the Shade, Freedom's Song and Violet at the Ford's Theater; Associate Conductor, Pajama Game, Arena Stage. Matilda, Wicked, Addams Family, Evita and many other shows at the Kennedy Center; Tours - The Lion King, (Rafiki), Memphis (Nat'l), The Color Purple (Nat'l); Three Mo' Tenors; Regional - A Civil War Christmas,The Wiz at Centerstage Theater in Baltimore, MD; Brooklyn, The Musical, Denver Civic Theater. Film/TV—Good Morning America, ABC Nightline, Rosie O’Donnell, PBS, WORD Network, NAACP Image Awards.Concerts/Recitals - Il Divo, Denyce Graves, Angela Brown. Other— On My Journey Now, featuring Baritone Lester Lynch, (arranger, pianist), The McLurkin Project (Orchestrator); Total Praise (Grammy Nom. CD, composer); Victory(Debut CD, 2008). Candidate for M.Div, Wesley Theological Seminary. Victor thanks God for this opportunity and gives God praise for everything, most especially his wife Reverend Ciara Simonson of 10 years, his 6-year old daughter Victoria and 3-year old son Immanuel! www.VictorSimonson.com. Reverend Foster is the musical director for the Saturday worship services. Reverend Foster serves as the Gospel Choir Director at National City Christian Church (Disciples of Christ) in Washington, District of Columbia, and as the Minister of Music and Administration at First Baptist Church of Silver Spring, Maryland. A Departmental Honor Scholar in Music graduate of Morgan State University, with a concentration in voice and choral conducting, she also has a Master of Arts degree in Christian Leadership from The John Leland Center for Theological Studies. She is the immediate past state chair of Music in Worship for the Maryland/DC Chapter of the American Choral Directors Association, and an arranger and associate editor of the African American Heritage Hymnal. A globally acclaimed musician, teacher, director and writer, Minister Foster served as director of the University of Maryland’s Gospel Choir for 15 years, producing the Choir’s first two recordings; lecturer for the Smithsonian Institution’s master class in early gospel music for its “Wade in the Water” series, and the World Council of Church’s Ecumenical Institute (Switzerland). She wrote a special setting of “We Are One” which was performed by opera singer Denyce Graves and the Papal Mass Choir as Pope Benedict XVI entered the Nationals ballpark for the Papal Mass in April 2008. In 2009 Foster made her fifth appearance as music director for the Washington Performing Arts Society’s Men and Women of the Gospel choir concerts at the John F. Kennedy Center for the Performing Arts. In 2010 she participated in the Kennedy Center’s “Joyful Sounds: Gospel across America” festival, celebrating the heritage of African-American gospel music and other sacred forms. She served as a director for the community-wide hymn sing and a vocalist with Marietta Simpson in her concert of sacred art songs. For the past several years, Minister Foster has conducted vocal workshops for the National Convention of Gospel Choirs and Choruses, founded by the late Thomas A. Dorsey. Reverend Shauna St.Clair Flemming accepted her call to ministry at age 19 while studying Biology at Spelman College, in Atlanta Georgia. She graduated from Spelman in 2006 and completed the Master of Divinity from Vanderbilt with honors in 2009 where she was awarded the Umphrey Lee Dean’s Award for exemplifying the broader vision of the Divinity School, the Saint James Academy Award for excellence in Homiletics, and the Wilbur F. Tillett Award for the best work in Ethics. She went on to earn a Master of Public Health from Johns Hopkins University as a U.S. Department of Health and Human Services training fellow and is a current PhD candidate at Emory University’s School of Public Health. Shauna was licensed to Ordained Ministry in 2011 by the Georgia Region Christian Church Disciples of Christ under Reverend Dr. Cynthia L. Hale and is presently a minister in the Capital Area Region. She has served as a co-contributor for the African American lectionary project, is a featured preacher in the book, "These Sistas Can Say It" and has published numerous scientific articles in professional Public Health journals. Reverend Shauna St.Clair Flemming is called to ministry that spans the intersections of faith and health and encourages the flourishing of all God’s people. This Learning Center examines the interplay between faith and morality as we examine ecumenism (church unity) in its historical context, the context of the history of the Christian Church (Disciples of Christ), and its usefulness in addressing the social ills that are evident in our communities today. What does “together on earth” look like? Must our confession of faith reconcile with our actions? How is unity formed in and among churches that is ethical and promotes the gospel? Come. Lets dialogue. A native of the Washington Metropolitan area, Reverend Dr. Beverly Janet Goines is an ordained minister in the Christian Church (Disciples of Christ). Called to National City Christian Church in Washington, District of Columbia as a Lilly Endowment Fellow in 2003, she currently serves as the Assistant Pastor. Her primary responsibilities include pastoral care, counseling, and worship leadership. She earned a Bachelor of Science degree in Technical Writing from Carnegie Mellon University, a Master of Divinity from Howard University, and a Master of Philosophy in Theology and Religious Studies and a Ph.D. in Religion and Culture from The Catholic University of America. Reverend Goines taught Jewish-Christian Relations at The Catholic University of America and worked in the Ethics, Religion, and the Holocaust department of the Center for Advanced Holocaust Studies at the United States Holocaust Memorial Museum. She is currently a post-doctoral fellow at the Smithsonian National Museum of African American History and Culture and Georgetown University for the 2018-2019 academic year. Dr. Goines has also worked in the public and private sector as a technical writer, program manager, and project manager. She has experience in the financial services industry, where she earned and currently holds property, casualty, life, and health insurance licenses. When we identify oppressed and vulnerable people, what are we willing to do as followers of Jesús the Christ? Are we willing to take risks and let the Spirit guide our efforts? Is fear and a scarcity mentality limiting God's Creative Activity in your church and community? What can you do with what you have? This workshop will be an honest dialogue as we reflect upon our call to serve and advocate for vulnerable people and/or communities and the challenges and opportunities that could hinder or allow us to do so. I will share my own stories serving vulnerable communities as Pastor of Iglesia Nueva Creación and my journey with the National Benevolent Association (NBA) through Prison and Jail Ministries and the Mental Health Initiative. Reverend Héctor J. Hernández has been serving as Convener of the NBA Prison and Jail Ministries Peer Group, a network of support for Disciples engaged in spiritual care and advocacy ministries with those who are incarcerated and their families. In this role, Héctor leads and supports the dialogue and work of the peer group; determines if there are ways to expand efforts in connecting and supporting prison and jail ministry leaders; and represents the NBA at workshops, panel discussions, general and regional meetings, congregational trainings, and other opportunities. He continues in that role and now also serves as Hispanic Outreach Coordinator with the NBA Mental Health Initiative (MHI), effective August 1, 2017. Héctor has particular responsibility leading the MHI team on adapting, implementing, and evaluating the MHI design within and in relation to the Disciples Hispanic communities across the church. This includes developing collaborative relationships with the Central Pastoral Office of Hispanic Ministries (Obra Hispana), the Hispanic Convenciones, regions, other general ministries, congregations, and appropriate ecumenical contacts. Héctor has been serving the Latino/Latina immigrant community of Indianapolis since 2009. He is an ordained minister of the Christian Church (Disciples of Christ) of the U.S. and Canada who is serving as interim solo pastor of Iglesia Nueva Creación (New Creation Hispanic Church) in the west side of Indianapolis. Héctor has a Master of Divinity and a Master of Arts in Marriage and Family Therapy from the Christian Theological Seminary, and an undergraduate degree in Communications with a minor in Visual Arts. As an artist, clergy and immigrant, Héctor has been reflecting artistically and theologically on topics like immigration, the humanitarian crisis in our border, the unaccompanied Central America children, hope, and Social justice. In the face of increased hate crimes and policies of exclusion, how can our church create a culture of inclusion so all of God's children experience God's love? Lets look at some best practices (as well as some no-so-best) to imagine our role in creating spaces of healing and strength. See biography for Friday Night Banquet Speaker above. Important Congressional elections are coming up soon. Why should Christians be involved? Can congregations be involved?. If so, how? What are some IRS do’s and don’ts? What are some resources for congregations wanting to get more involved in this important form of civic engagement in our democratic process? Join us as we explore and discuss these questions. The Reverend Dr. Ken Brooker Langston is an ordained minister in the Christian Church (Disciples of Christ). He is a graduate of The University of North Carolina at Chapel Hill (BA), The University of Chicago Divinity School (M. Div. ), and Emory University in Atlanta, GA (Ph. D). He also spent a year at the University of Oxford in England. Ken is the Executive Director of the Disciples Center for Public Witness (DC4PW) and the Director of Disciples Justice Action Network (DJAN). He is also a Justice Advocacy Consultant to Disciples Home Missions and the Office of the General Minister and President of the Christian Church (Disciples of Christ) in the United States and Canada. It’s time to break the rules about church leadership in order to hear and obey God with a sense of radical abandonment. Dare to let go of common and comfortable misconceptions and sacred cows to shoulder spiritual and prophetic leadership in our rapid-changing world. Recognize how your specific call and distinguished gift mix can serve as a dynamic catalyst for visualizing and creating alternative pathways of ministry. Discover new ways of ministering to people, using resources God has already placed in and around you. UnLearning leadership is about leaving the status quo and fearlessly stepping out into God’s promising and yet unknown future on Earth, as it is in Heaven. Pastor Terrell L. McTyer serves as the Minister of New Church Strategies for the Christian Church (Disciples of Christ) in the United States and Canada. He is the founding pastor of Manifestation Christian Center (Kansas City, MO) which was an innovative, cause-driven gathering of young people steeped in unique tactics for discipleship, social enterprise and leadership development. Today, Reverend McTyer works to teach, equip, assist and multiply leaders through the New Church Ministry with an aim to increase missional efficacy and efficiency towards starting sustainable, world-changing churches. We will ask and seek to answer the following questions: 1) What happens when the church does something unexpected? 2) Can our church be both inclusive and Christian? Reverend Darren W. Phelps is the senior pastor and founder of Bethel Christian Church (Disciples of Christ), Washington, District of Columbia. He founded the Bethel Christian Church in 2008 with a focus on radical inclusivity – affirmatively welcoming of all people regardless of sexual orientation, race/ethnicity, gender identity or expression or economic situation. Bethel is a vision-driven multicultural church, called to speak to this generation and is affiliated with the Fellowship of Affirming Ministries (TFAM), under the leadership of Bishop Yvette Flunder. Embracing community, diversity, justice, equality, worship, fellowship, inclusion and social action, Pastor Darren reaches through the walls of conventionalism and is a strong voice for those who have been marginalized. Pastor Darren has been an active member with Clergy for Marriage Equality and the Gertrude Stein Club (the DC affiliate of the National Stonewall Democrats). He has served on the planning committees for Capital Pride and Black Pride-DC, and organized LGBT-inclusive interfaith services with the goal of increased participation of communities of color. He is a leader with Gays & Lesbians Opposing Violence Committee (GLOV) which works to reduce violence against the LGBT community. Pastor Darren has spoken out at Transgender Day of Remembrance vigils, supported the DC AIDS Walk and organized for One Nation Working Together. He is also on the Host Committee and People of Color committee for the "Practice Spirit/Do Justice" Creating Change conference which is organized by the National Gay & Lesbian Task Force. He has received many awards for his community service including the Prism Award and the Capital Pride DC Hero award. Pastor Darren is a graduate of Virginia State University with a Bachelor of Arts in Education and Master of Arts in Psychology. He completed further studies at Virginia Union seminary, Beulah Bible University, Interdenominational Theological Center Atlanta, and Capital Bible seminary. He is the proud father of two daughters and two grandsons. Reverend Dr. Sharon Stanley-Rea is Director of Refugee & Immigration Ministries for the Christian Church (Disciples of Christ), working as an employee of Disciples Home Missions, in covenant partnership with the CCCA and the DCPW, and with her office located in Washington, D.C., in National City Christian Church. She works to mobilize Disciples congregations around the country to offer hospitality to immigrants, provide refugee resettlement assistance to refugees, seek justice for farm workers, and engage in advocacy on behalf of refugees and immigrants. Prior to joining DHM, Sharon served for 19 years as the Founder and Executive Director of Fresno Interdenominational Refugee Ministries, which provides wholistic ministries to thousands of refugees annually in California’s Central Valley, and she previously pastored in North Carolina and California, and served in mission in Seoul and Pusan, South Korea. She is an ordained pastor with standing in the Disciples and Presbyterian denominations, earned M. Div. and Doctor of Ministry degrees, is the sister, daughter, and granddaughter of pastors, and is the wife of Reverend Dr. Woodie Rea (Disciples clergy and Senior Pastor at The Inter-faith Chapel at Leisure World in Silver Spring, Maryland.) She just returned this month from the Middle East, has studied in Indonesia and China, and lived for many years in a low income neighborhood nicknamed after a refugee camp in Thailand. She loves traveling, enjoys daily running, and her beagle.